The Gospels tell us over and over that Jesus had compassion on the people around Him. (Matthew 9:36, Matthew 14:14, Matthew 15:32, Matthew 20:34, Luke 7:13) Jesus’ compassion was not simply pity. He not only felt, but He acted. When Jesus was moved with compassion for a sick man, Jesus healed. When Jesus felt compassion for the hungry crowds, he fed them. Jesus’ compassion always resulted in action on behalf of the needy. When Jesus was asked about being a neighbor He told the story of the Good Samaritan. Through this story Jesus tells us that a neighbor is not simply a person who lives in our neighborhood, but anyone we are aware of who has need. This is an especially big challenge for us today. We live in a world where we are aware of the desperate needs of millions of people all over the globe. Therefore, they are our neighbors, and we are responsible for them. Over the past several years we have witnessed terrible atrocities and disasters all over the world. This fact should not simply inspire us to say, “The end is nigh,” but it should stir our compassion and push us to action. Genocide in Rwanda, starvation in Zimbabwe, Katrina on the Gulf Coast, tsunami in the Indian Ocean, earthquake in Haiti, civil war in north Africa, and the recent series of disasters in Japan. How have you allowed your compassion to be stirred? Have you acted on behalf of the needy? You just encouraged me to send the donation I have been thinking about making to World Vision, for the immense needs of the people of Japan. I know that sending money is often the easy thing to do, and we also need to express our compassion is personal ways. I’m looking for opportunities to do both. I like your point about not just looking at bad things and saying how its just a “sign of times” or whatever, but actually being moved to do something. The problem I have is that I see all of these disasters and such on tv, and other than sending money to a group there isn’t really much I can do to help. I’m not saying that as an excuse, it’s more of a frustration. Cause if there was some way I could physically go to these places and help then I would, but that’s not really possible for me or most people I know. But I do think the compassion it stirs up in us could be directed to help people closer to home that we can actually physically interact with, because there are people all around us everyday who need compassion. 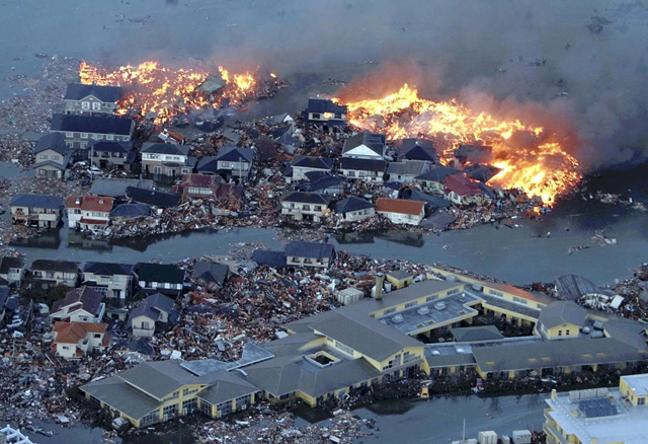 Meanwhile with stuff like the Japan disaster we can still have compassion for the people there in our hearts and prayers.